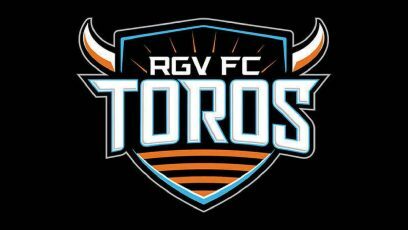 After a dominant first half and a quiet second half, the RGV FC Toros earned their USL-high 11th draw, finishing 0-0 against Swope Park Rangers on Sunday at Children’s Mercy Park in Kansas City, Kansas. The Toros move to 2-6-11, holding steady at 15th in the Western Conference after their sixth scoreless draw of the season. The Rangers are 9-7-5. RGV FC controlled the action in the first half, holding about 60 percent of possession while leading 11-4 in shots and 4-1 in shots on target. Pablo Aguilar came the closest to a breakthrough, putting two attempts off the left post: a free kick from about 25 yards in the 29th minute, and a bicycle kick from the middle of the penalty box during the dying seconds of first-half stoppage time. The Toros also narrowly missed on a scoring chance in the eighth minute. Off a free kick, Jordan Jones put a flying volley on the net from about 6 yards. Conor Donovan corralled the rebound and had a chance to finish the play from point-blank range, but his shot was also saved. Neither team generated many quality chances in the second half. During the final 45 minutes, RGV led 6-3 in shots and 3-0 in shots on target. The Rangers equalized possession, as the Toros finished with 50.9 percent for the match. RGV FC is back in action next week, hosting Colorado Springs Switchbacks FC at 7:30 p.m. Saturday at H-E-B Park in Edinburg.